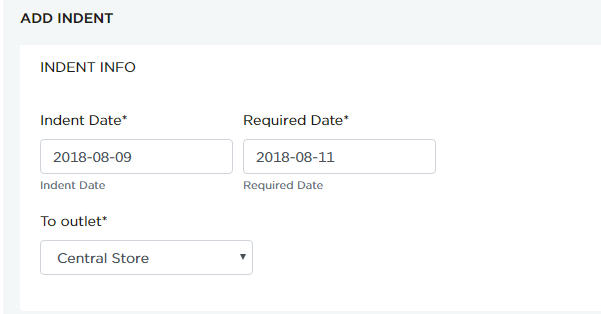 In this page, you can raise inter-branch indents and request for required items. Alternatively, based on consumption of each kitchen, central store can issue the raw-materials on a periodic basis. All the indents are entered and recorded in this page. Click RAISE SKU INDENT button to enter SKU indents as shown below. 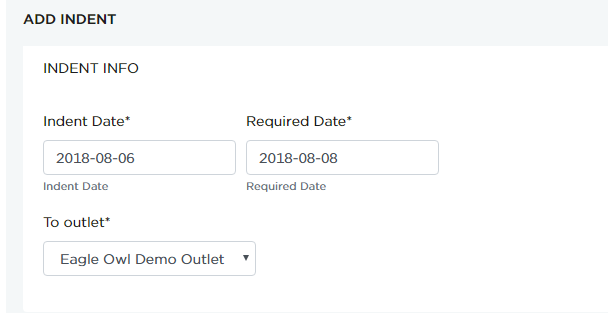 In some cases, a department section can request for items from the same outlet. 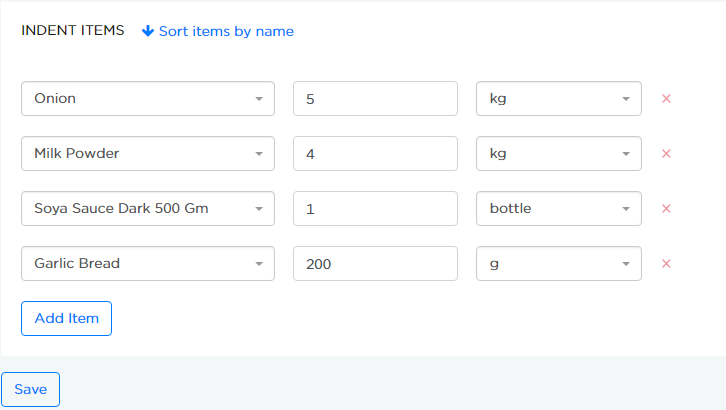 Select the Cost Center (or other categorization as applicable) from dropdown options.Since we are considering an example of non- food item, Kitchen type category is left blank.